We are delighted to announce that Milbourne Lodge was awarded the Cognita Way Award at the recent Global Education Conference. Cognita presented awards to a number of schools recognising them and their leaders for demonstrating exemplary performance, leadership and educational excellence in 2017. 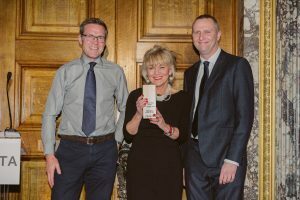 Mrs Judy Waite, Head was presented the award at the closing conference dinner, by Simon Camby – Group Director of Education.